Hey y’all! We are several weeks in now on our home renovation 2.0 and our house is looking more like a construction site than a home these days. Luckily, we aren’t living in it yet. After the extreme temperatures the last few days, we were just glad to not have any busted pipes. We are still finishing up the ceilings with the hope that this weekend will be the last weekend of painting (*fingers crossed*). We have also been busy prepping the floors. This week we have a guy sanding and re-staining the hardwood floors (after reading too many DIY fails, this looked like one area that we needed to call in the pros for). 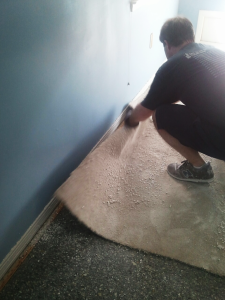 Last week, Mr. P was busy finishing up the process of taking out the old carpet and carpet pads. 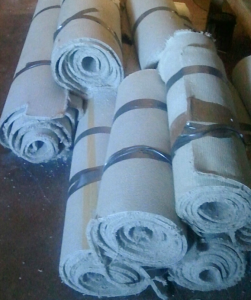 Although we will hire someone to install the carpet, you can save some money by removing your old carpet and carpet pads yourself. If you are ready to tackle this project, the steps are listed below on how to remove and dispose of carpet and carpet pads. Step 1: Cut the carpet into strips. Using the utility knife. Cut a straight(ish) line down the carpet approximately 2 – 3 feet wide. The sharper the blade, the better. The wider the strips, the heavier it’s going to be. Step 2: Pull the strips up. With your hands, begin to pull the carpet up. If you are at the first section or a corner, you may need to use a crowbar to loosen up any edges. The carpet should tear along the pre-cut line. If not, recut any hard to tear spots with the utility knife. Be careful for the tact strip as these small nails can go through gloves and shoes if you land hard on one. 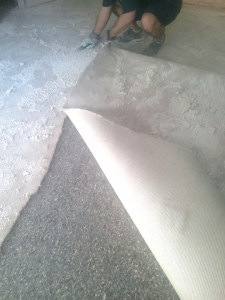 Step 4: Tape the carpet rolls. Using the duct tape, liberally tape the carpet rolls shut. Duct tape is such an amazing invention. Even as tough as it is, you can still tear the strips with your hands. Amazing. Step 6: Carefully remove the tact strip. If you didn’t want to put the gloves on for Steps 1 – 5, you definitely will need to put on some sort of hand protection for this part. The tact strip is probably glued down so you will need to either cut or edge it out before trying to lift it. 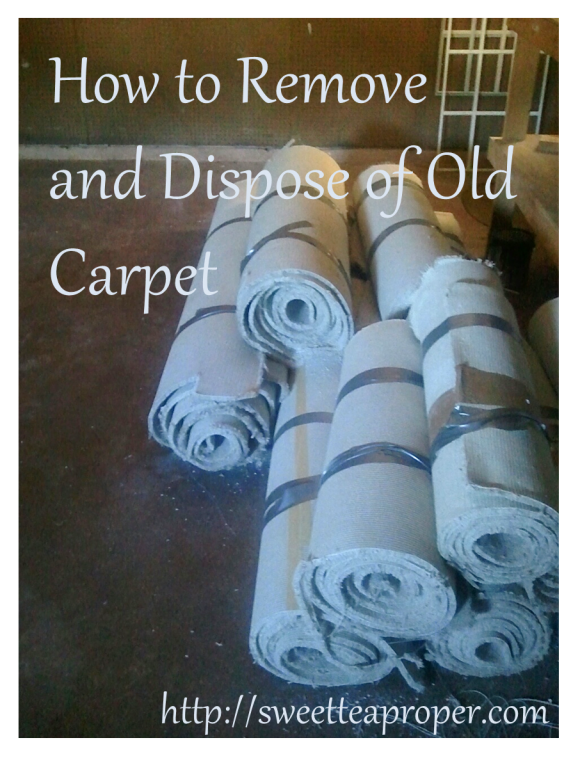 Step 8: Dispose of the carpet. Contact your local garbage pick-up first. Sometimes certain cities will pick up these items as long as they are properly rolled up. Other times, this is included in your regular garbage cost, but you have to schedule a specific time for pick up. If your local garbage company does not provide this service, you will need to load up the materials and drop it off at your local dump. You will more than likely be charged a fee for this, so the top two options are definitely preferable. In our household, our carpets were covered with popcorn ceiling leftovers so we were thrilled to have the old carpet removed. One more step is now complete on our home renovation journey. Thanks for stopping by!